Jack and Lexi never had a typical relationship. After two years without speaking, she receives a phone call that changes everything. He unexpectedly asks her to convince the new girl, Bekah, that he's ready to commit. Jack is calling now after everything they had been through because there is another woman. She can't believe it. Follow Lexi in this heart wrenching drama as she relives her past relationship, or lack thereof, with Jack, and not just in her own mind, but to his fiancée-to-be. Throw in Bekah's hot brother who always seems to be in the right place at the right time, a past with more secrets to unravel than you can even imagine, and you get a recipe for disaster. Find out what happens to Lexi as she travels to Atlanta to get the closure she so desperately desires from Jack, and how the bumps of life seem to keep getting in the way. ©2012 K.A. 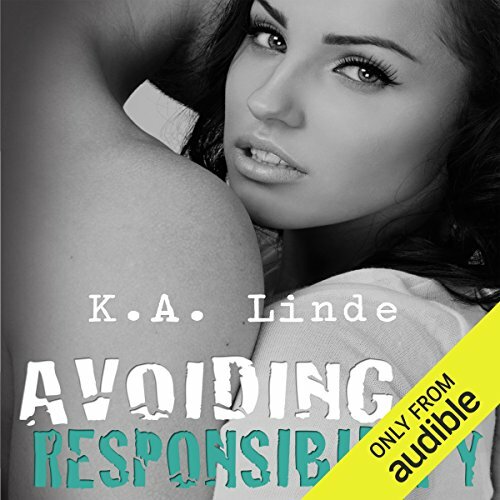 Linde (P)2013 Audible, Inc.
Two years after walking out of Jack’s wedding, Lexi has finally put her past behind her. She has made up her mind about where her life is headed. This time, she is sticking to her guns, no matter what. That is, until a phone call shatters the fragile grasp she has on her new life. Lexi is forced to question everything she thought she knew about what she wanted, and life - changing events push her to reevaluate the very plans she holds so dear. Nevertheless, Lexi has to choose her true path. That might just mean deciding, once and for all, that she doesn’t have to answer to anyone but herself. Growing up, Chyna was handed everything on a silver platter. She never wanted for anything, except love—unconditional love from her parents. Love was a foreign emotion, and watching her parents love/hate relationship was never easy. So when it came to her personal life, she made sure she never had to relive that. With looks that could kill, it was simple for Chyna to be the love 'em and leave 'em kind of girl. ut one chance meeting changes it all.